AMMONNEWS - Jordan is taking part at the 16th Arab Media Forum which began late Sunday in Kuwait. The 3-day forum was opened on behalf of the Kuwaiti prime minister, by Kuwaiti Minister of Information Mohammad Nasser Al-Jabri, who delivered a speech in which he said that the media industry and investment has become very important in the present time, by investing in human thought through creating generations that can carry out national responsibility. The first day of the event included several sessions on humanizing the concept of media, , sports, media and cyber-bullying in addition to the situation and future of the Arab media. Secretary-general of the forum Madhi Al-Khamis said that the forum presents a vision on its prominent role in presenting vital media issues, noting that the forum will pay special attention to youth journalists. The opening ceremony was attended by Director-General of Jordan News Agency, Dr. Mohammad Omari and a number of Arab and Jordanian journalists and academics. 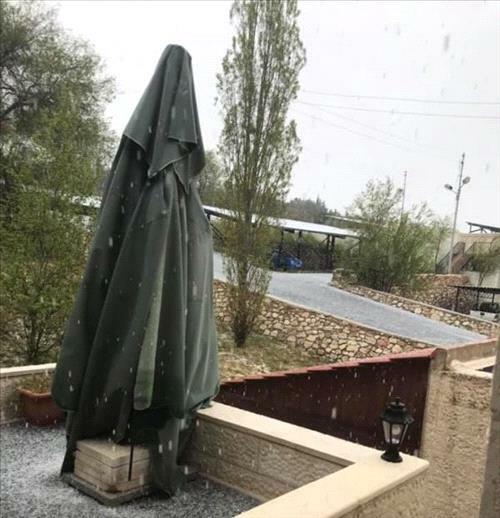 AMMONNEWS - A slight rise in temperatures is expected on Monday, but it will remain relatively cold and cloudy with a chance for light showers in the northern and central parts of the Kingdom, the Jordan Meteorological Department (JMD) said. Winds will be northwesterly moderate to brisk, blowing dust in the desert areas, the JMD added. Mercury levels will continue to rise on Tuesday, but they will remain 4-6 degrees below their annual average creating relatively cold conditions in most regions, while it will be relatively warm in the Dead Sea, the Jordan Valley and Aqaba with easterly to northeasterly light to moderate winds, the JMD noted. A tangible rise in mercury levels is forecast on Wednesday bringing spring-like moderate conditions in most areas , while it will be warm in the Dead Sea, the Jordan Valley and Aqaba with easterly to northeasterly light to moderate winds, the department further said. Daytime temperatures forecast for today in Amman and the northern cities will reach 14 degrees Celsius, dropping down to 7 degrees at night . The weather will be warmer in the port city of Aqaba with highs reaching 27 degrees and lows standing at 15, the JMD said. 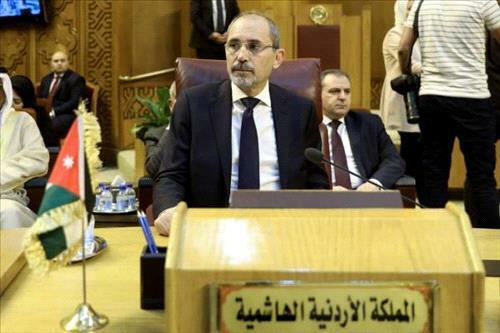 AMMONNEWS - Minister of Foreign Affairs and Expatriates Ayman Safadi reaffirmed Jordan's position towards the Palestinian cause, which he said, "will remain the first and central cause" and towards achieving comprehensive peace. 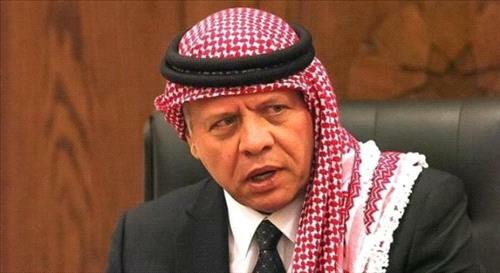 During his statement on Sunday at the extraordinary session of the Council of the Arab League at the ministerial level that Jordan will save no effort in supporting the Palestinians and their legitimate rights. He warned of the gravity of the situations in occupied Palestinian territories, calling for intensifying the joint Arab work and communicating with the international community to find a political detente to end the occupation and set up a Palestinian state. 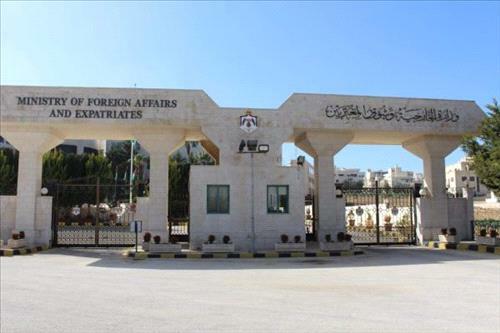 Safadi emphasized that Jordan will continue saving no effort in protecting occupied Jerusalem and its Muslim and Christian holy sites through His Majesty King Abdullah II's direct follow up. "Sovereignty over Jerusalem is Palestinian and custodianship over its sanctities is Hashemite directed by His Majesty King Abdullah II who has been harnessing all of Jordan's capabilities to protect them, but the responsibility of defending Jerusalem, its identity and legal status quo is Jordanian, Palestinian, Arab, Islamic and international," he said, adding that Jerusalem is the basis for peace and tampering with it or its sanctities is a threat to international peace and security. The session, which was convened upon the request of the state of Palestine, discussed challenges facing the Palestinian cause, as Palestinian President Mahmoud Abbas gave a comprehensive briefing about the developments in the Palestinian arena. Safadi also highlighted the importance of the Arab countries to adopt a new strategy to face the challenges facing the Palestinian cause based on Arab principles that have been reaffirmed in all Arab summits and in cooperation with the international community that supports the two-state solution as the only viable way to bring about peace. He also warned of the dangers in the occupied Palestinian territories in light of the Israeli measures and decisions that undermine the two-state solution, stressing the importance of adopting effective actions to help in addressing the financial issues suffered by the Palestinian National Authority. AMMONNEWS - His Majesty King Abdullah II on Sunday sent a cable to President of Sri Lanka Maithripala Sirisena, expressing condemnation of the terrorist bombings that targeted churches and hotels in Sri Lanka, killing many innocent people and injuring others. In the cable, King Abdullah said Jordan stands with Sri Lanka in the global fight against terrorism and extremism. His Majesty also expressed condolences and sympathies to the bereaved families, and to the president and people of Sri Lanka, wishing the injured a speedy recovery. AMMONNEWS - The Ministry of Foreign Affairs and Expatriates on Sunday strongly condemned the terrorist attack that targeted a number of churches and hotels across Colombo in Sri Lanka on Easter Sunday. A series of bomb blasts claimed the lives of over 100 people and resulted in the injury of more than 250 others. The Foreign Ministry's Spokesperson, Sufian Qudah, affirmed Jordan's solidarity with the Sri Lankan government and people in the face of terrorism and violence that target the safety and stability of Sri Lanka. He expressed his condolences over the victims and wished the injured a speedy recovery, stressing the Kingdom's firm stance against all forms of violence and terrorism. AMMONNEWS - The government expressed its firm condemnation of Sunday's series of terrorist attacks in Sri Lanka that killed and wounded hundreds of people on churches and hotels during the religious ceremonies of the Easter celebration. The Minister of State for Media Affairs, Jumana Ghneimat, said these terrorist practices and massacres reflect the "dark, abominable ideology" rejected by all religions, cultures and human values. The minister also noted these appalling incidents require crystallizing an effective international effort to combat terrorism in all its forms at the security and ideological levels, renewing Jordan's rejection of terrorism and attacks on the safe and innocent people and places of worship, which is one of the "most heinous forms of terrorism". 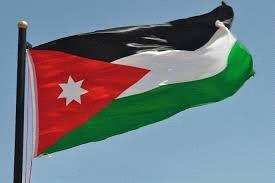 Ghneimat, who is also Government Spokesperson, voiced Jordan's solidarity with the Sri Lankan Republic in this ordeal and expressed condolences to the victims of the terrorist massacre and wished the injured a speedy recovery. 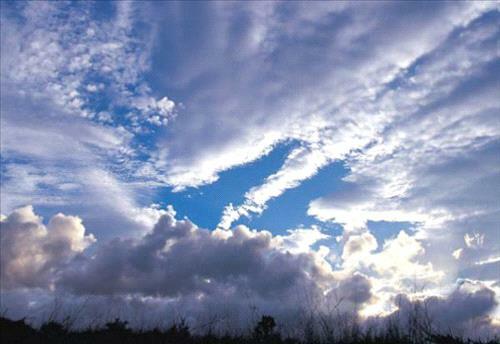 AMMONNEWS - The Kingdom on Sunday, will be affected by a wet and relatively cold air mass accompanied by depression centered over Syria, that will bring down temperatures 9-11 degrees below their seasonal average, the Jordan Meteorological Department (JMD) said. Cold and cloudy weather conditions will prevail with rain in different parts of the country that might turn heavy at times accompanied by thunder and hail, the JMD added. Winds will be northwesterly brisk reaching 50-70 km/h, and stirring dust in the desert. Daytime temperatures forecast for today in Amman will reach 12 degrees Celsius, 11 degrees Celsius in the northern cities and 10 degrees Celsius in the southern cities, dropping down at night to 5,4 and 2 respectively. The weather will be warmer in the port city of Aqaba with highs reaching 22 degrees and lows standing at 15, the JMD said. A slight rise in temperatures is expected on Monday, but the weather will stay cold and partly cloudy with a chance for scattered showers in the morning, especially in the northern regions while winds will be northwesterly moderate picking up at day time. Another rise in temperatures is expected on Tuesday, creating spring-like weather conditions in most regions while it will be warm in the Jordan Valley, the Dead Sea and Aqaba.